The Russians took pride of place at this City of Birmingham Symphony Orchestra concert at Birmingham's Symphony Hall. The venue's famed acoustics were certainly used to their full with both pieces which called on the full talents of the orchestra. Rachmaninov's Symphonic Dances were premiered in 1942, just a year before he died, and they are clearly the work of a greatly experienced composer and performer. There is little chance for any of the orchestra members to take a back seat as the piece pulls on the skills of all the musicians as it dances back and forth, constantly changing pace and mood. 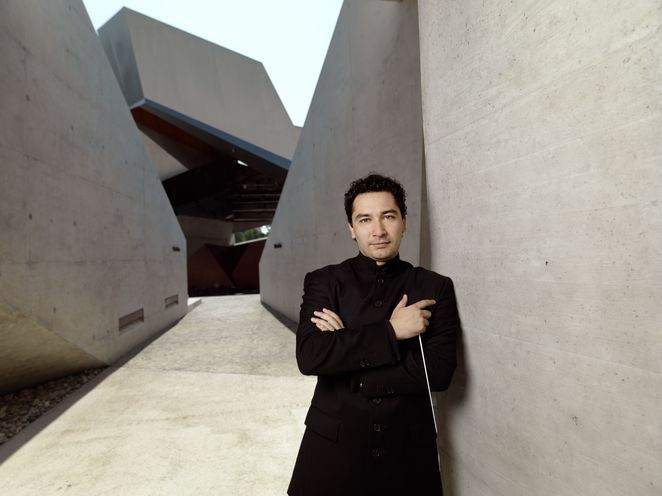 The programme was conducted by Colombian Andrés Orozco-Estrada who is as lively as the music he is directing. Orozco-Estrada's style is so engaging as his entire body follows his baton that it can sometimes be hard to look beyond him to the actual musicians. This was certainly not the case when Simone Lamsma took centre stage as soloist for Shostakovich's Violin Concerto No 1. This is a work which demands a lot from its soloist who dominates the music throughout and Lamsma gave an expert and energetic performance. In the first and third movements, the violin is hauntingly melancholic, almost digging deep into the soul of the troubled composer who created the concerto while out in the cold during the Stalinist regime. But in the second and final movements the violin takes on a fiendish power as it soars and dives, seemingly without taking a breath. Lamsma's talents received rapturous applause from Symphony Hall – so that she graced us with a short Bach encore. Also in the programme was the seven minute Ravel offering Alborada del gracioso. It may be short but it is packed full of Spanish influences and instrumentation with guitar and castanet sounds interspersing the woodwinds. This was a challenging programme for the orchestra but, under the baton of Orozco-Estrada, they seemed to enjoy taking on that challenge on and it certainly paid off in terms of a masterly performance.